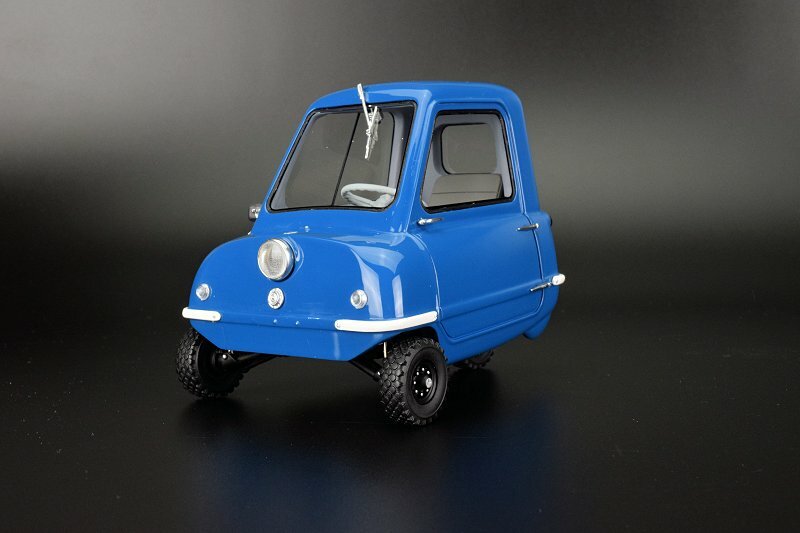 We thought we saw the smallest car we ever reviewed here at DiecastSociety.com (Bond Bug), but no, that is not the case. The team at DNA Collectives continues to impress with the variety of subject matter. 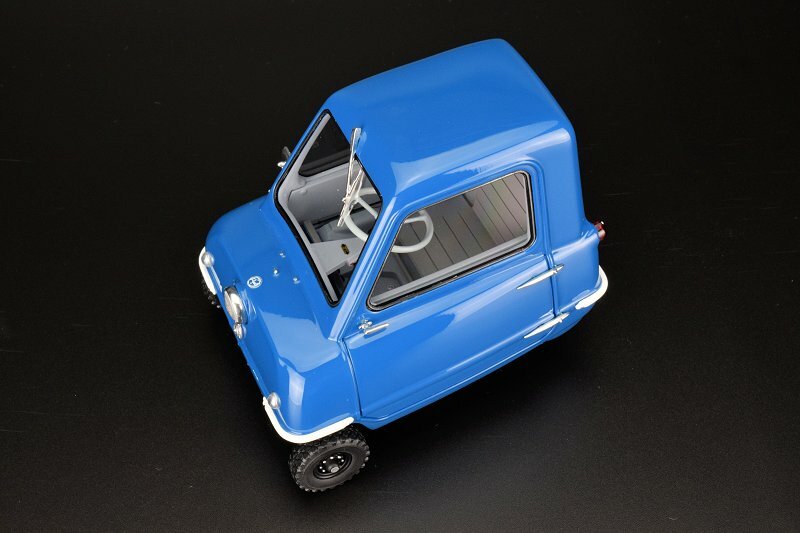 This time around we present the 1:18 scale Peel P50. 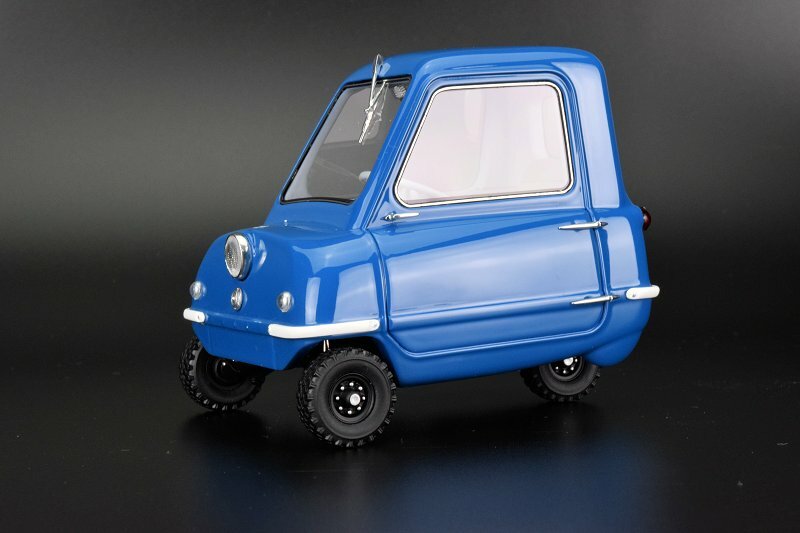 The Peel P50 is a three-wheeled microcar that was originally manufactured by the Peel Engineering Company for a short four-year span – 1962 to 1965. The original marketing angle catered to the frugal individual, “one adult and a shopping bag”. Talk about getting right to the point. 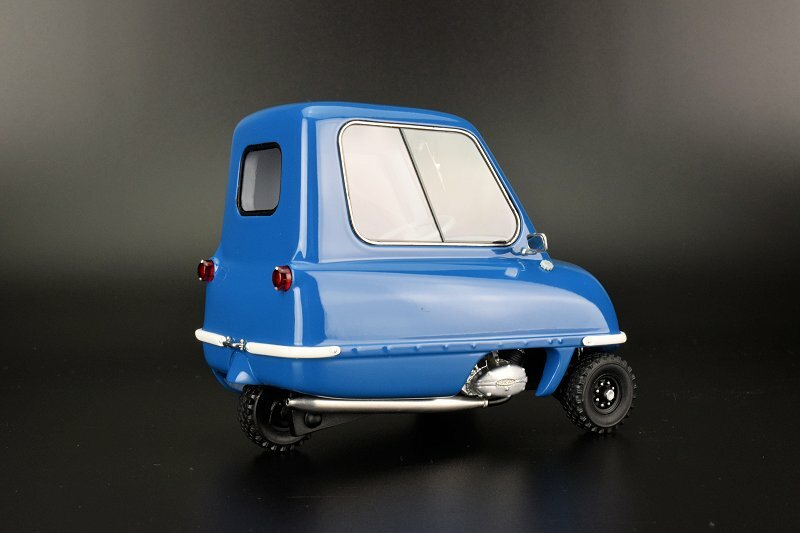 It also holds the distinction with the Guinness World Records as the smallest production car ever made. How many manufacturers can say that? 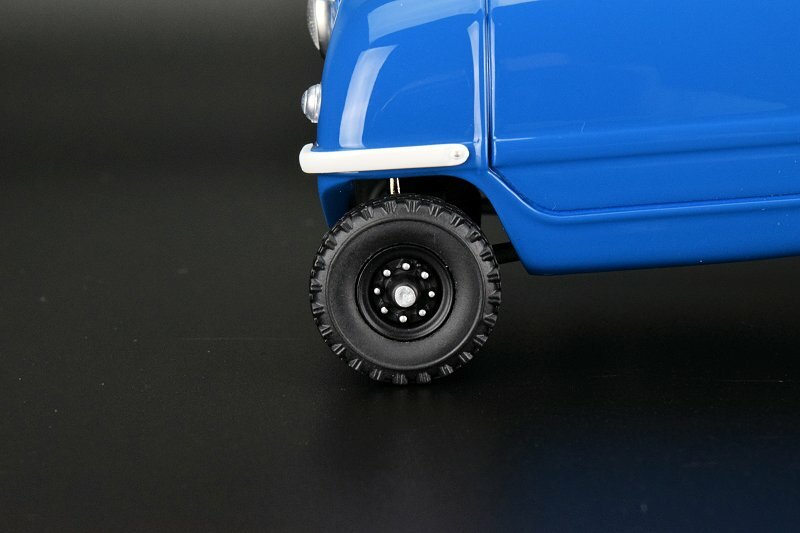 As for the model itself, it is tiny. So small in fact my girlfriend called it cute. It sat in the palm or her tiny hand with room for one or two more pieces. 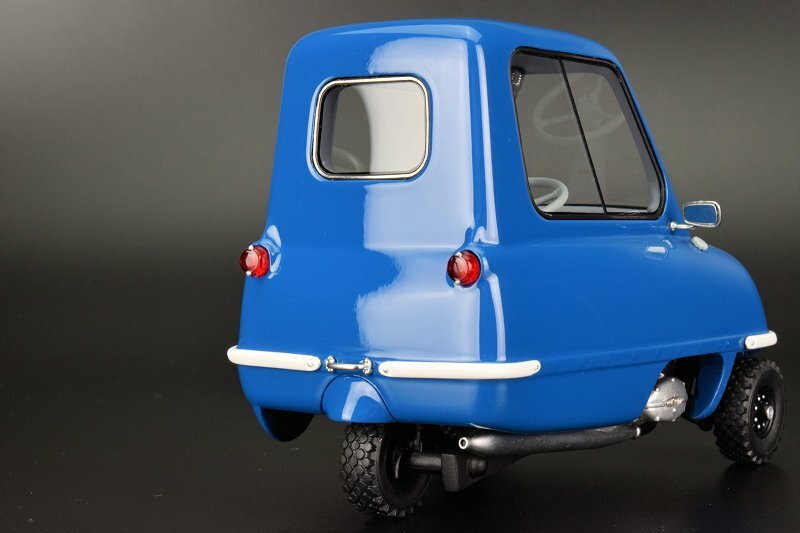 If you saw the earlier “TANK” review you probably noticed the TANK crushing down the Peel P50, that image will surely provide perspective for size. What the model lacks in size it makes up for uniqueness. Again hats off to the DNA Collectibles team for once again pushing the envelope! 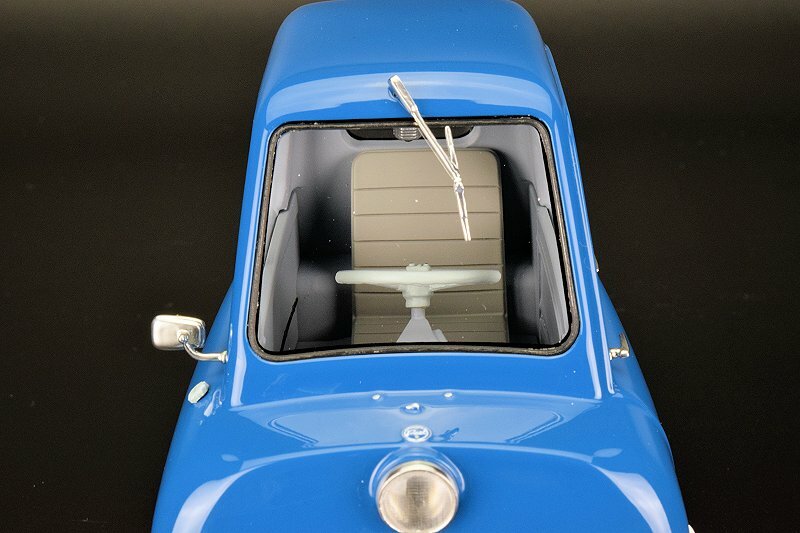 Looking at the exterior the model is on point with the overall design. 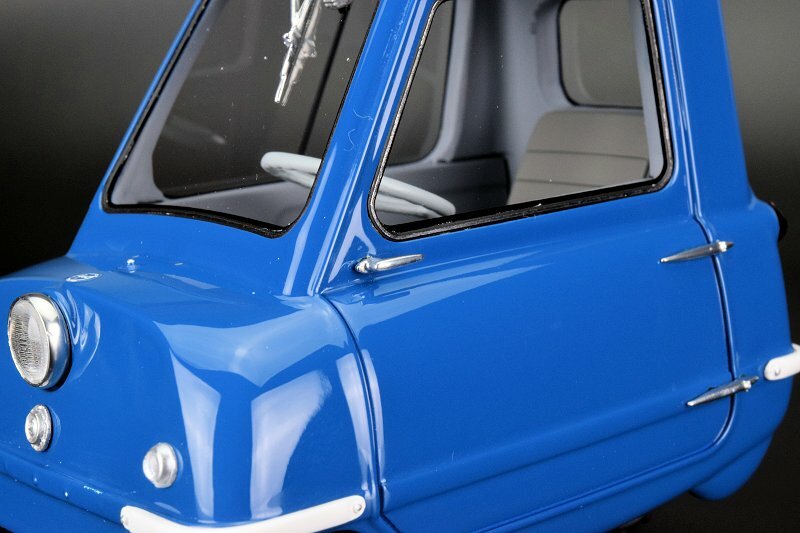 Paint is excellent and consistent throughout and the lines mirror the original car well. 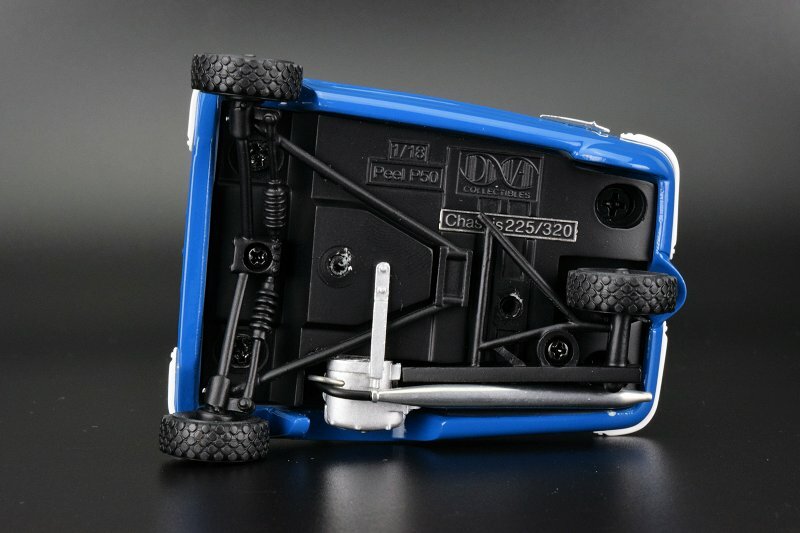 The external elements or accessory bits are crafted with care and quality materials are used. 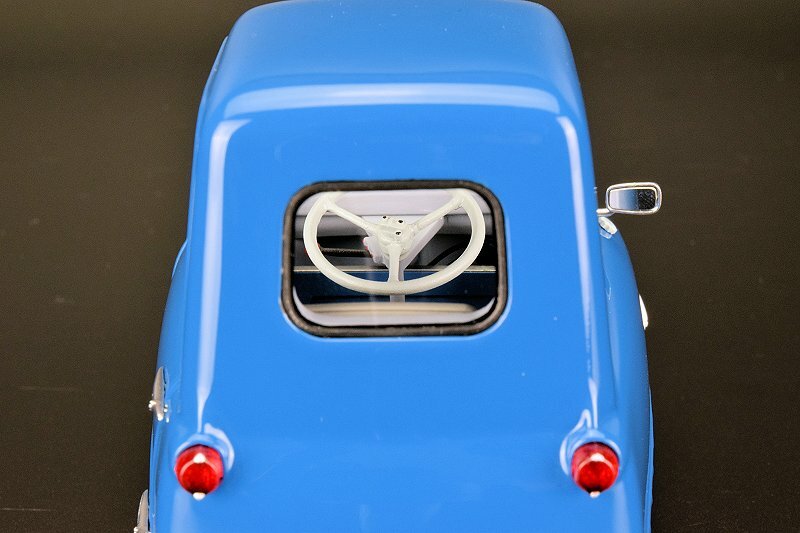 These include filter gap, mirror, front wiper, hinge work and more. 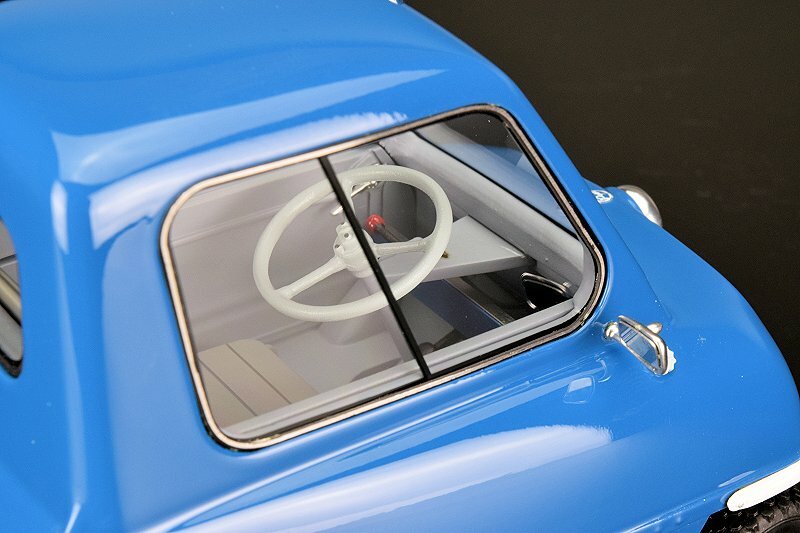 Note the nice clean chrome work and 3D like execution on the windows throughout the piece. 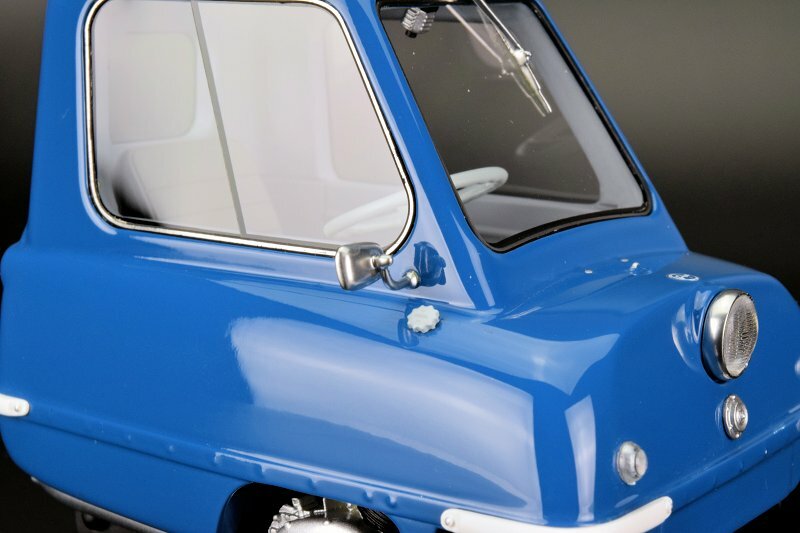 Front and rear of the Peel P50 are basic in design but the replica representation is well executed. 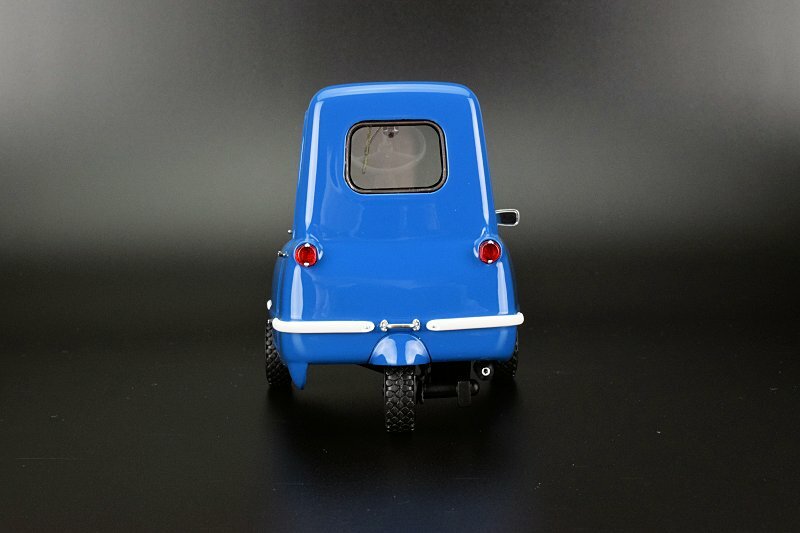 Again we have quality items in headlight and taillights and related items. 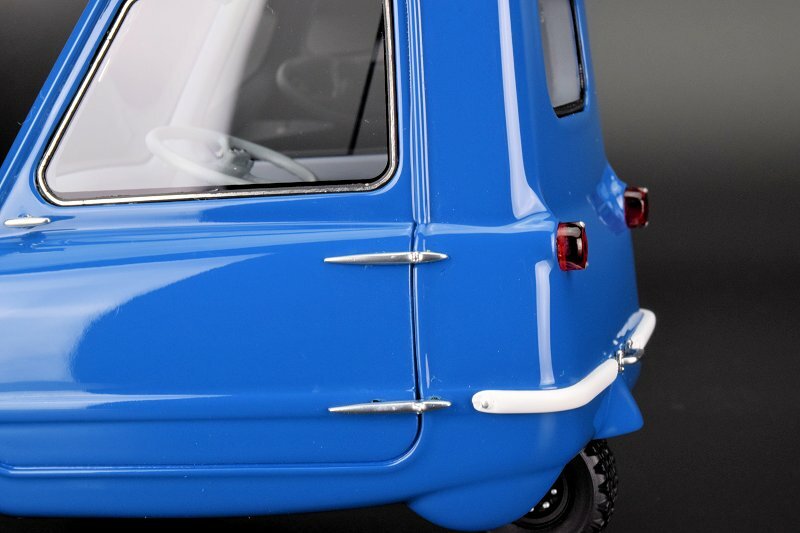 See the handle on the back? Well, that is your reverse gear LOL. If you need to go back you exit the car, grab the handle and pull with all your might! 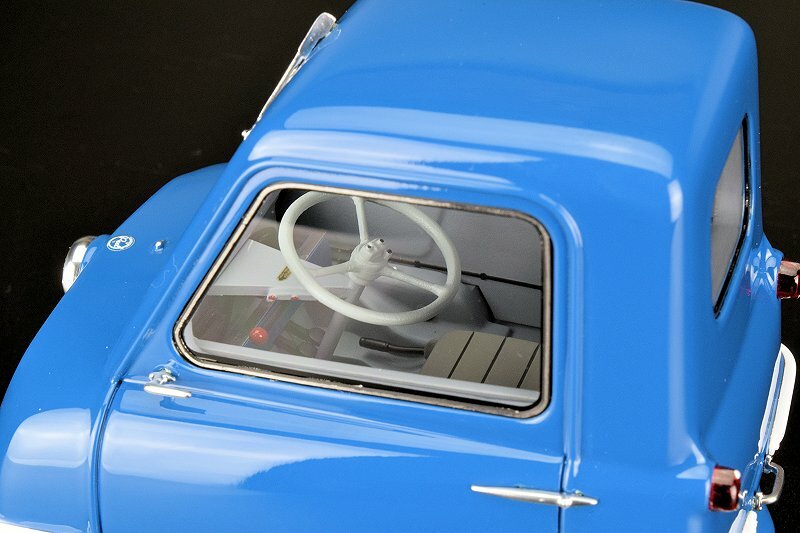 This a one door wonder, so access for the driver is permitted on the right (facing front) while the motor working and exhaust are fixed to the left side. 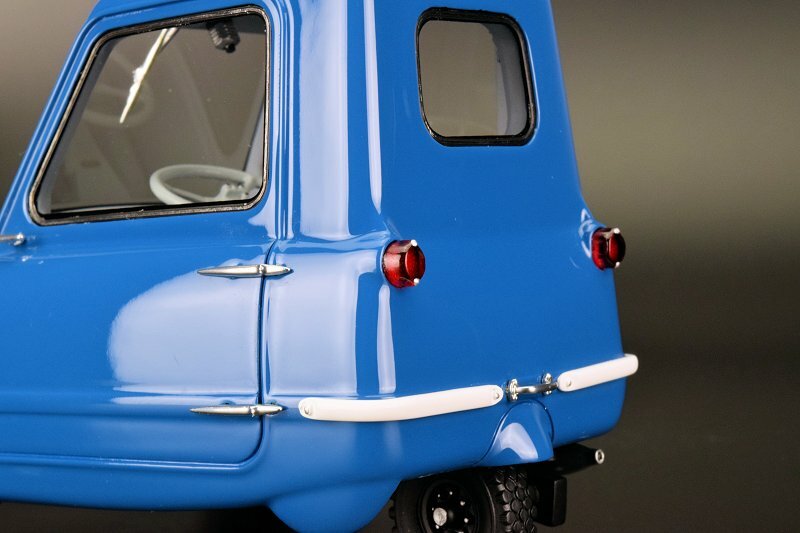 DNA Collectibles does an awesome job at creating a sense of wonder and realism with the execution of the various motor elements. 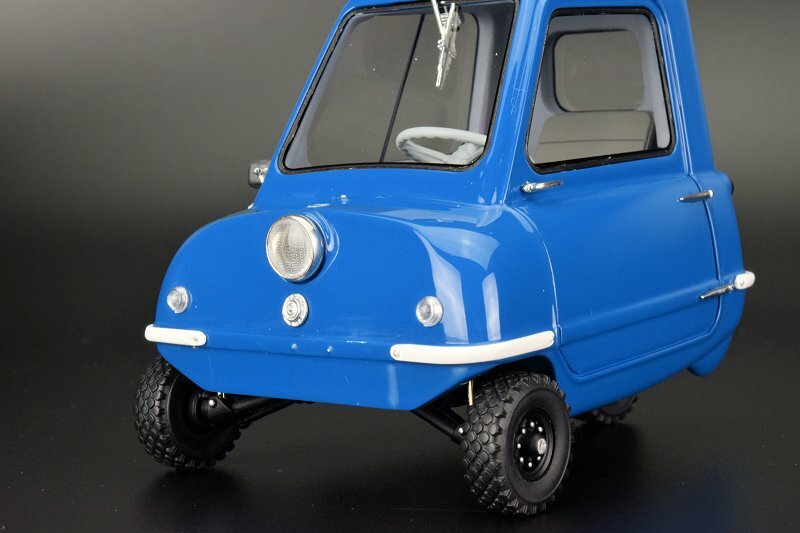 Go-Kart like for sure! 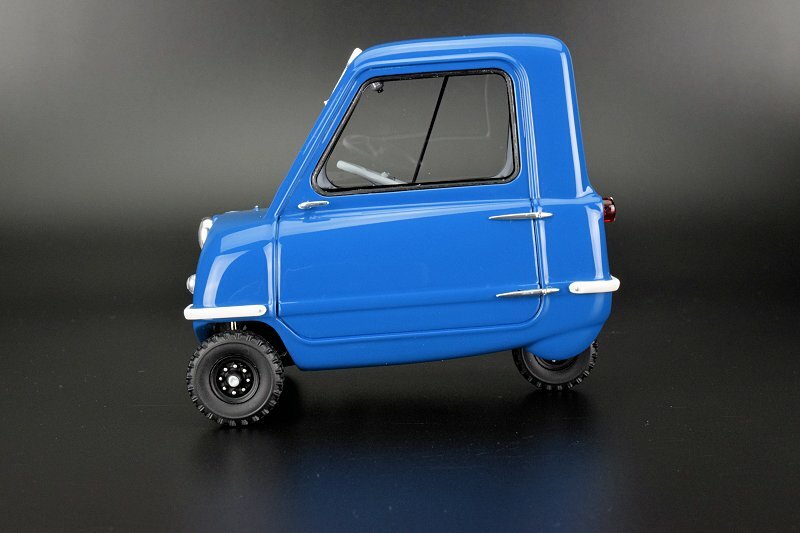 The Peel P50 wasn’t noted for its handling capabilities. And often more than one would like, a little too much gas resulted in tipping her over to the side, a scary proposition for the driver indeed. Underneath the team defines the various suspension parts in front and rear. 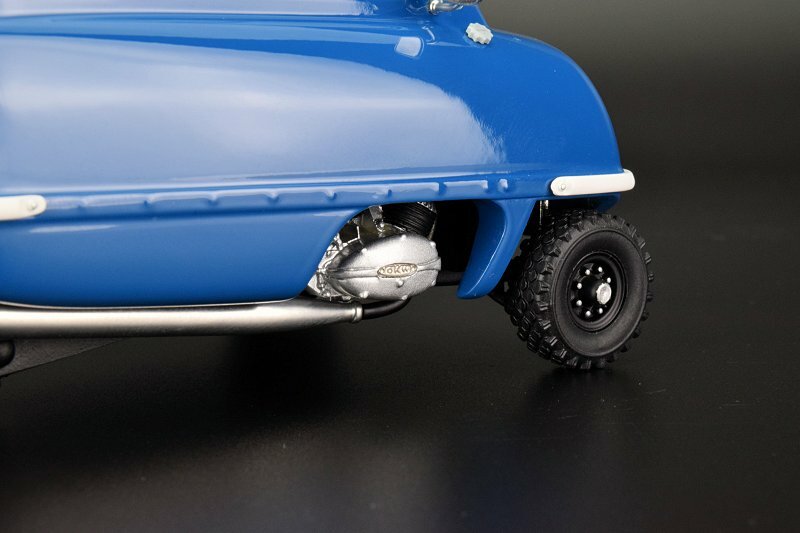 You also get a little more of the engine and exhaust working too. Well done gents! The interior is completed in all white. Overall quite sparse in presentation, but what would one expect with a sale price of $350CND back in the day. The only splash of colour is the Red on the shift lever. Overall we give two thumbs up to the team for capturing and executing the interior elements well. 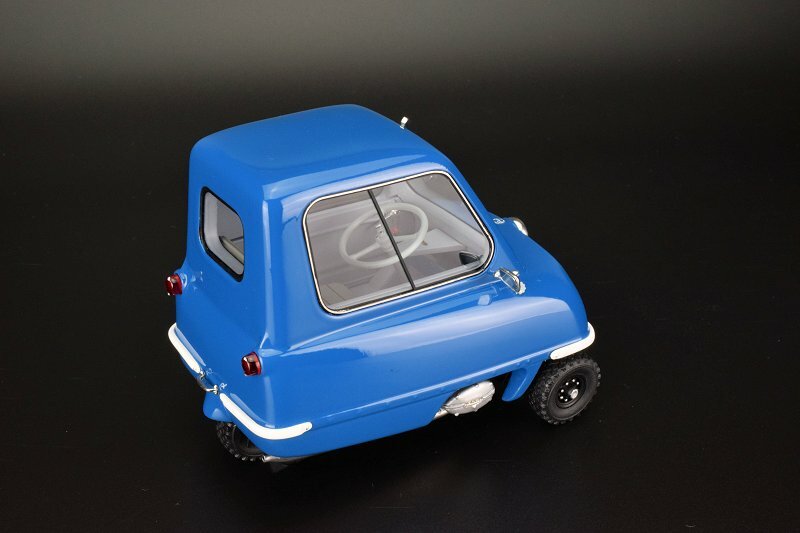 The Peel P50 is another great piece from the team at DNA Collectibles. 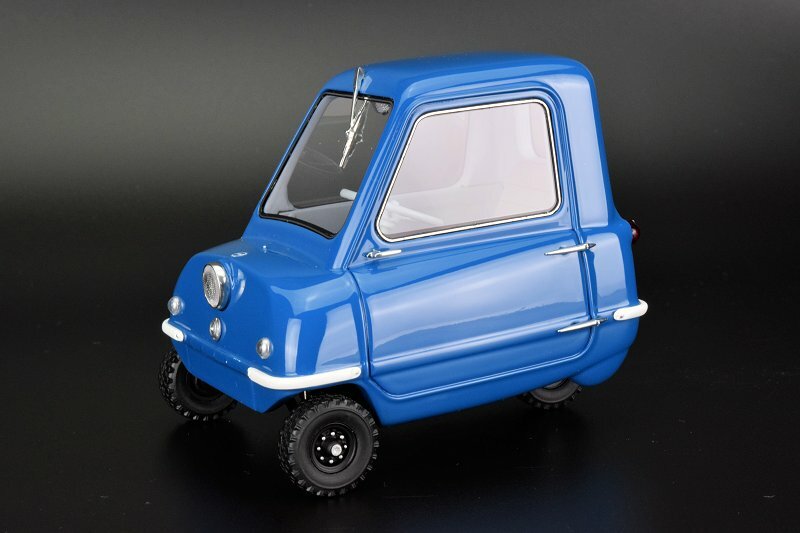 If you want to add a unique piece of microcar history or just a fan of British autos this one is a must. 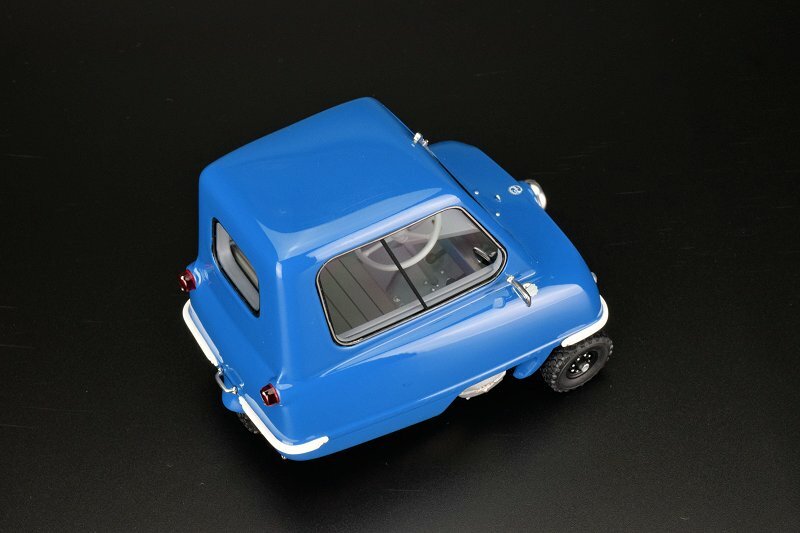 Exterior and interior elements are well executed, there isn’t much wrong with the model at all. If we had to nit-pick, a fully opening representation would be the icing on the cake. But we all know with uniqueness comes lack of production from the mainstream. This is where DNA Collectibles excels above the competition. Enjoy the pics! 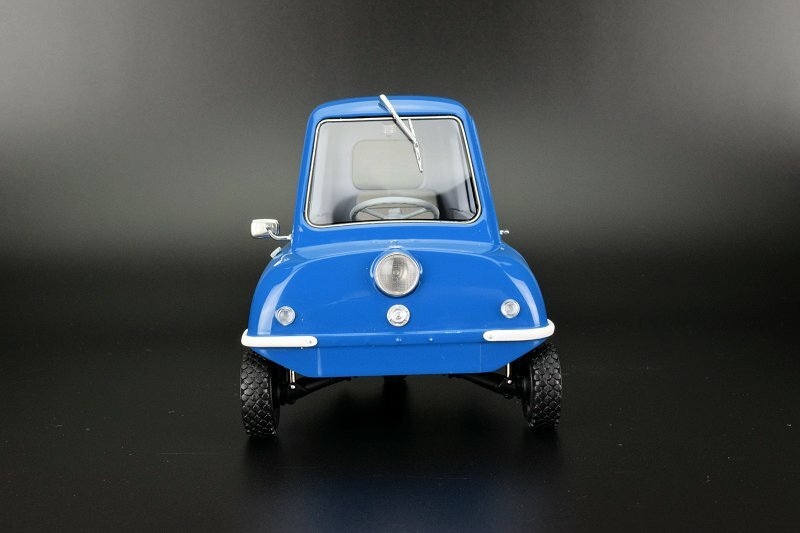 4 Responses to "REVIEW: DNA Collectibles Peel P50"
LOL these are still available! Well done!